My Olive Tree, in conjunction with the Israel Nature and Parks Authority, is pleased to be a participant in a project that allows us to plant thousands of olive trees in the historic Silwan Valley area of Jerusalem, an area known historically as the King’s Valley. The Silwan region is one of the more contentious areas of Jerusalem at the moment, but the project allows us to help return the focus of the area to peace and prosperity. What is the history of the King’s Valley region? 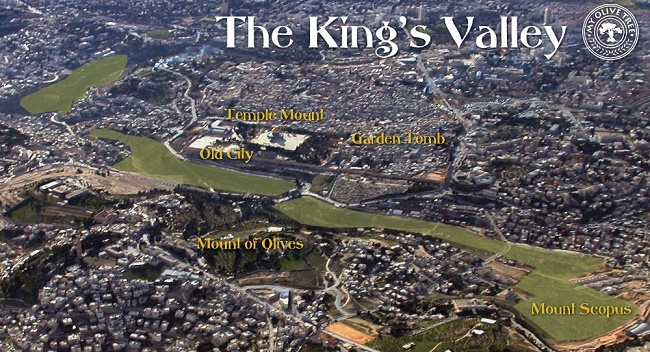 One of the major reasons why My Olive Tree has chosen to work on the King’s Valley Project is because of the immense history of the region. This part of Jerusalem today, what basically amounts to a small village on the outskirts, is built around the Biblical kingdom’s necropolis, an ancient cemetery of huge significance both to the region and to religion. Many of the highest-ranking officials of the Judean kingdom are buried inside its tombs, the most famous being the Tomb of Pharaoh’s Daughter. Today those tombs stand empty so that their contents could be removed and protected, away from looters and natural harm. Unfortunately, many of those tombs have been destroyed, and today there are houses built over them. The area has evolved throughout history depending on the culture in power at the time; it has been a place battled over for generations. For the Jews it is the foothills of where the Messiah will appear while Muslim tradition holds that the spring in Silwan is among the world’s most sacred water sources. In the era of the Ottoman Empire, Silwan was an important site in a peasant rebellion. Within the past 50 years, Silwan has been the site of archaeological research at the City of David site, the place thought to be the original site of Jerusalem. By helping to provide stability and agriculture to the region, we hope that we can play a role in returning peace and prosperity to one of the world’s most important historical and cultural locations.